For any business, whether a foundation, piling, for excavation contractors and companies, having the right supplies and equipment is vital. That’s why it is essential for these businesses to find the right manufacturers, that not only use quality materials but the tools and service to provide their clients with top-notch results. Finding the right manufacturers for essential materials, equipment, and tools can mean the difference between being able to work efficiently and having to put up with cheap products that cause delays in production and constant reworks. It’s factors such as these that make business and contractors, especially those looking for quality steel piling products, to ask how they can find the right manufacturer that has the right products to meet their business’ needs. At Magnum Piering, we specialize in manufacturing high capacity and quality piling products for foundation installations and foundation repair. As one of the industry-leading manufacturers, we are committed to providing our customers and clients with the best results, and to answer the question of how your excavation, foundation, or piling company can find the right manufacturer or supplier, we put together some qualities to look for. As a contractor or business in the piering or piling industry, it is next to impossible to meet your own production timeliness if your manufacturers or supplies take forever to get you the product and materials that you need to begin the work in the first place. When manufacturers are unreliable and have inconsistent delivery times are not the type of people you want to count on during a critical moment when your team needs to complete a large project. 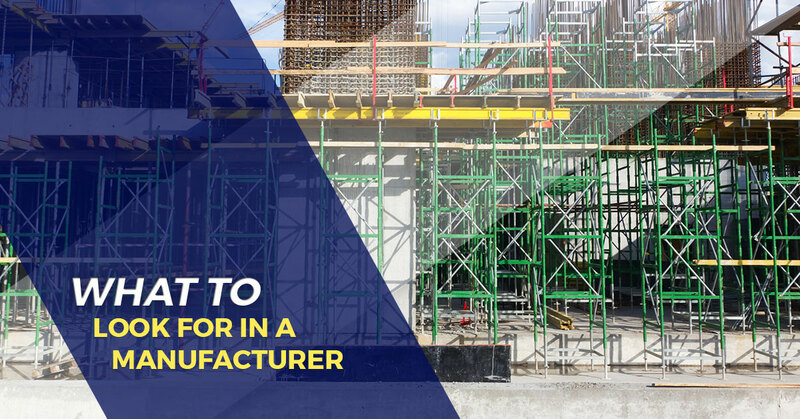 Finding the right manufacturer to work with means that you have access to the products, materials, and supplies you need when you need it, not three to five months from when your order was placed. When looking for a manufacturer, try checking their past customer history. Check and see what the average wait time is for an order to be fulfilled and look up online reviews to get an idea of the experiences previous customers have had. If delivery times are past due and deadlines are consistently missed, then the manufacturer may not offer the best level of reliability that is needed in order for your work to stay on schedule. You should look for a manufacturer with short delivery times and that either delivers on time or before the scheduled date. A great way to identify a reliable manufacturer in this industry is to check their ISO Certifications. Piling manufacturers that are ISO-certified have a dependable and proven system for getting work done and consistently reveal improvements and advancements in their production process. Fortunately, checking ISO-certification is relatively simple. Manufacturers either have up-to-date certifications them or they don’t — typically you can find out by going to their website. At Magnum Piering, we operate a manufacturing quality control system that is ISO 9001:2008 accredited. This accreditation was developed as an international standard to ensure that manufacturers and suppliers have established and maintained a uniform quality management system to better meet the needs of their clients. The standard covers design, production, development, and service; it can be used by any business in any industry. One of the biggest things you don’t want in a manufacturer or supplier is shoddy parts and materials that you may have to reject and send back. As a business in the industry, you know the importance of using quality materials in your work, so working with a manufacturer that sends low-quality parts and materials that do not meet your production tolerances is not acceptable. Cheap parts and materials pose a greater risk of damage to your equipment or products. That said, when considering a supplier or manufacturer for your company, it is important to look at the history to see if you notice a high amount of claims against them for parts, supplies and materials not working or being rejected for delivery. At Magnum Piering, we only manufacturer our helical pile and steel push pier products from new, high-quality steel. To assure our clients that we offer top-notch products, we have mill certificates are available for new mill run shaft and plate materials, and material test reports are available for new mill secondary materials. Customers have claimed that our quality materials and products “make all the difference in the world when drilling in challenging situations”. When your business partners with our piling and pier manufacturing company, you can rest assured that you will get the quality products you need to get the job done right and avoid any damages to equipment. In addition to finding a manufacturer that offers high-quality products and supplies, it is also important to find one that offers high-quality support. It is vital to choose one that is backed by a team of dedicated, trained, and motivated professionals. Not only do you want to look for a manufacturer that has comprehensive sales and technical support, but a staff of geotechnical and structural engineers. Reliable and reputable manufacturers will be able to support all phases of installation and repair projects. Trust us, when things go south, you can gain peace of mind in knowing there is a supportive team ready to assist you. At Magnum Piering, we are committed to providing our customers and clients with support and that is of the same quality as our products. We help our clients with just about everything, from the bidding stage to design and ultimately to field installation. Depending on the type of support you need, we have a variety of available options. Sales and Support Team: Our team of sales and support engineers are available to assist you with your needs. Whether you need help with initiating a foundation project, interpreting geotechnical reports, assistance with preliminary piling or anchor sizing, creating a list of piling and anchor materials, or just being provided with quotes for materials, our dedicated team always has your back. Efficient Order Processing: Our administrative and shipping personnel can help with tracking your order of products, and if you know exactly what is needed, they can also help with placing a stock order. Seminars: Magnum Piering puts on a variety of short-courses and lunch seminars for engineers, architects, and other design professionals as an introduction or refresher on the product’s, design, and applications. These help ensure our customers fully understand our products and how to use them when on the job. It can be hard to find a manufacturer in this industry that meets the qualities listed above, but it does not have to be. For over 35 years, Magnum Piering has been one of the most trusted names in foundation repair products and manufacturing. In addition to supplying installed throughout North America with quality supplies and products, we also work with foundation, piling, and excavation contractors who are searching for a better product, better support, or better pricing. You will be relieved to find that our company meets all the four qualities discussed above. When you work with us, your company is not only investing in high-quality helical piling and piering systems, but your investment also provides you with the necessary training, support, products, and timely delivery you can trust to expand your foundation repair and design business quickly and profitably. If you are interested in learning more about our piering and helical piling products and systems, or if you are interested in joining the Magnum Team, contact us today!